Here is your weekly quote from Ruth! See you next Monday for the next quote from The Time Fairy! In a hyper-competitive market, you have to do more to stand out and over the last few weeks we have been giving you some reasons to use promotional gifts to stand out. Most companies will do marketing that’s free and hope for the best! As you are aware there is hefty competition in the inbox, however by changing your your marketing strategy to include promotional merchandise will mean that you are almost alone in the letterbox. And if promotional goods bring you quality leads that convert into sales, is that not worth factoring into the marketing mix? Promotional goods can add a new dimension to your marketing. From memorable giveaways to products that form part of a broader drip campaign, you have a HUGE range of options. And we’d love to help you explore them. Remember, you don’t have to default to pens! Instead, think about the conversation you want to spark and find items that enhance this message. That way you’re not only sending a prospect your company name, but you’re also kick-starting thoughts and conversations that could lead to a sale. Here at Cre8tive Brand Ideas, we blend promotional merchandise with the creative thinking that gets you results. Involved in your product from start to finish, we’re more than a supplier. Instead, we’re here to ensure you receive exactly what you need – on time, in the right quantity, at a great price each and every time!. In a hyper-competitive market, you have to do more to stand out and over the next few weeks, We will be giving you four good reasons to use promotional gifts to stand out. One significant advantage of promotional goods is you can wrap stories around the items you pick. For sure, there are practical choices. For example, you might want to brand bags for an exhibition or give away pens at an event. But that’s just scratching the surface of the possibilities. Branded goods also create talking points in direct mail promotions. · Rulers if you want to ‘tell it straight’. · Trolley coins if your message is ‘on the money’. · Torches can help people ‘see the light’. · Umbrellas may inspire people to ‘splash out’. It’s how promotional merchandise plus creativity can add a new dimension to your marketing. And with thousands of items to choose from, there’s a good chance you’ll be surprised by the countless opportunities that exist to get people talking. Join us next week for reason 4 and how to get started, in the meantime, if you do need anything then please call us on 08451 30 87 30 and let us know! 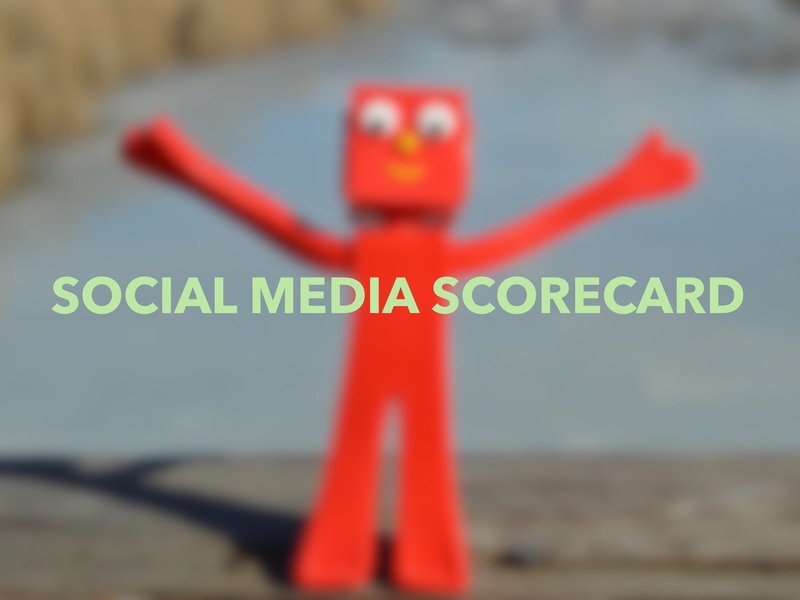 Meet the Social Media Scorecard! Hello and welcome to the Social Media Scorecard! This scorecard has been made to help you get the most out of social media whilst adding a little bit of fun into it. It is aimed at businesses and if you follow it, you will improve your digital footprint which in turn will increase awareness to your brand. It will also give you a guide to follow if you are not sure how and when to post (plus giving people a challenge!). Are you ready to begin? Let’s get going! Humans are tactile. We like to hold objects in our hands and explore them. So when you give promotional gifts, you’re encouraging prospects and customers to engage and interact with an item that’s branded with your business’s identity. There’s huge value in this! The items you choose will evoke a reaction. People will feel a particular way towards the products you pick. Choose gifts that evoke the emotions you associate with your business and you can forge stronger relationships. In other words, promotional goods can help influence how your customers feel about your business. Are you taking advantage of this?